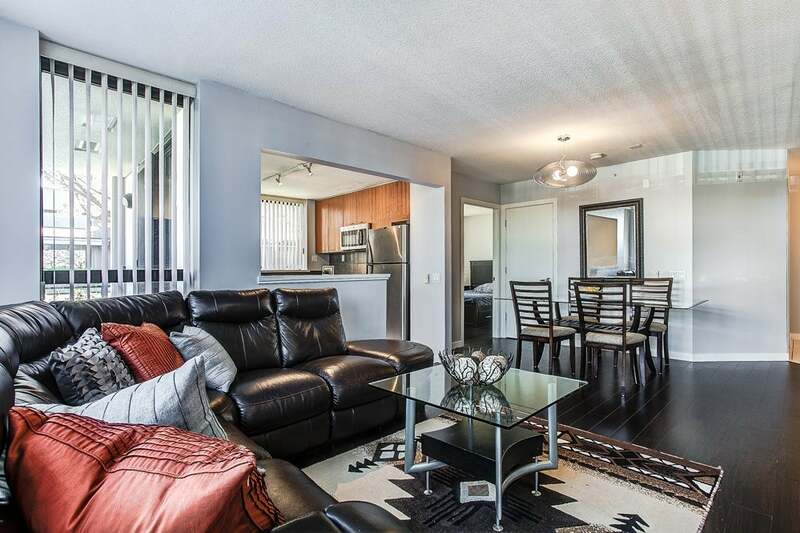 Come see this beautiful condo at the open houses this weekend Sat. & Sun. April 16 & 17 from 2-4 PM. Listed at $469,000 this rarely available ground floor home with two patios extends your living space outdoors. Welcome to Stanford House built by Bosa, concrete low ride at High Gate Village. This freshly painted and well maintained home offers: functional, spacious open floor plan, gourmet kitchen with eating area, granite counter tops, stainless steel appliances, gas stove, cozy fireplace and gleaming laminate flooring. Both bedrooms are good size separated by living room and dining room. One underground parking and one storage locker. Convenient central location with Save On Foods, Shoppers Drug Mart, Starbucks, and minutes to Edmonds skytrain station!